Service design is the activity of planning and organizing people, infrastructure, communication and material components of a service in order to improve its quality and the interaction between service provider and customers. It is now a growing field of both practice and academic research. Service design is the activity of planning and organizing people, infrastructure, communication and material components of a service in order to improve its quality and the interaction between service provider and customers. It is now a growing field of both practice and academic research. 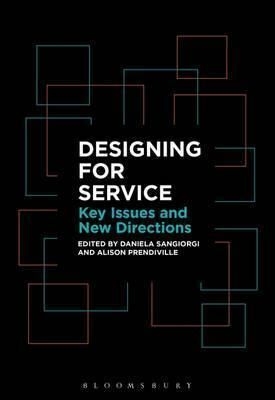 Designing for Service brings together a wide range of international contributors to map the field of service design and identify key issues for practitioners and researchers such as identity, ethics and accountability. Designing for Service aims to problematize the field in order to inform a more critical debate within service design, thereby supporting its development beyond the pure methodological discussions that currently dominate the field. The contributors to this innovative volume consider the practice of service design, ethical challenges designers may encounter, and the new spaces opened up by the advent of modern digital technologies.